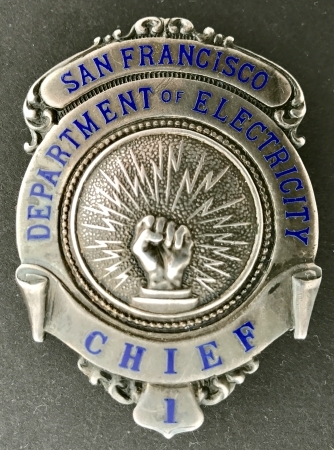 Gordon C. Osborne joined the San Francisco Department of Electricity in 1913 as a lineman. He worked his way up the ladder and became the Asst. Chief and then the Chief of the department in 1951 when then Chief Ralph W. Wiley retired. 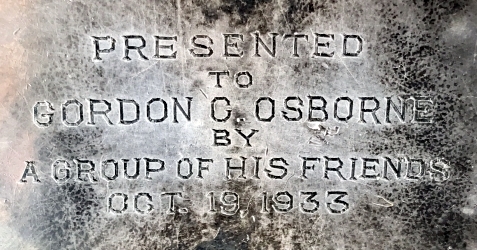 Osborne retired in 1954 after 41 years on the job. 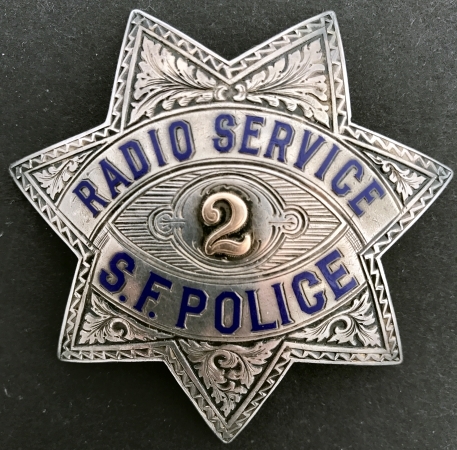 The department of electricity maintains the police and fire call boxes and installed the first police radio equipment in the patrol cars. 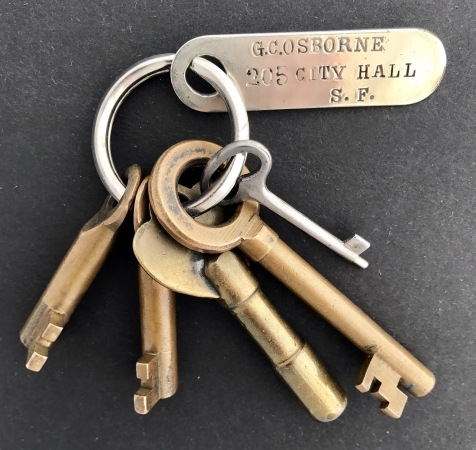 Gordon C. Osborne's set of keys for police and fire call boxes. 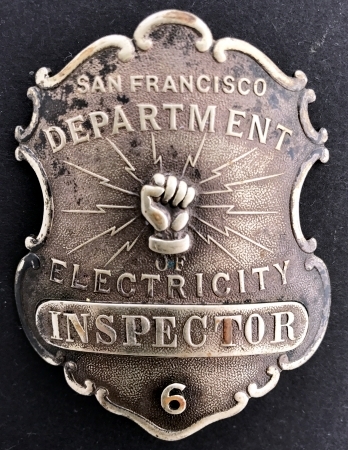 Early badge made by Venderslice S. F.
Standing L to R is Unknown San Francisco Police Officer, Chief Ralph W. Wiley, Gordon C. Osborne and Unknown San Francisco Fireman. 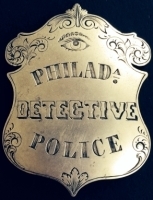 October 1922. 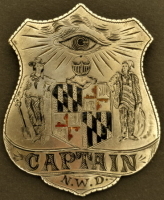 Sterling silver badge Presented to Gordon C. Osborne by A Group of His Friends Oct. 19, 1933. Made by Irvine & Jachens S. F. He was the Asst. 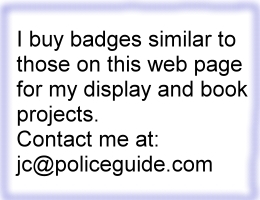 Chief of the department and thus the #2 on his presentation badge. Ralph W. Wiley and Gordon C. Osborne. Made by Irvine W. & Jachens S. F.